As many murderers have found, a dead body is a difficult thing to hide. It’s heavy and awkward to move. It doesn’t make a sound, but it will begin to attract attention in another way as time passes and it begins to rot. And people don’t usually look their best when they are dead. If they die violently, their dead body can be a horrible sight. But it’s not just murderers who have to face these unpleasant facts. If someone dies naturally, their dead body is still difficult to move and to consign to the ground. And many of us are disturbed by the idea of the dead body rotting, whether it’s our own body or that of a loved one. Bacteria and worms invade and corrupt once-living flesh – that’s not a pleasant thought. And it’s not been pleasant for thousands of years, as we can see from the way some ancient civilizations practised mummification. In ancient Egypt dead bodies were treated with powerful chemicals, wrapped in strips of cloth, and sealed inside a sturdy sarcophagus, protecting them from the horrors of decay. But there’s another solution to the problems posed by a dead body: to burn it rather than bury it. Fire is a powerful symbol of life and energy. It turns an awkward and ugly corpse into clean and convenient ashes. Ashes are light, not heavy. They don’t smell or look disturbing and they take up little space. They can easily be scattered, placed inside an urn or consigned to the earth. But that doesn’t exhaust their possibilities. Some people prefer the ashes of their departed loved ones to rest in a special place, like a niche for cremation urns at a cemetery. But others are happy to keep the ashes at home, whether in an urn or some other object. Because ashes are so light and easy to shape, they can be sealed into jewellery, set into a clock or used as part of a painting or diorama. This can be a particularly good idea if the departed person had a love of art during their lives. They might even have designed the art-work themself, happy to think that they would be part of something beautiful when they had passed away. Ashes can also be mixed into the coloured glass of a globe or window, so that light shines through the departed person and brings them to mind in a special way. But ashes don’t have to be made into art: they can reflect the personality of the departed person in another way. Some people like the idea of being part of a joke even when they pass on. Why not put the ashes in an hour-glass or even an egg-timer? That might seem disrespectful or undignified, but how can we argue with it if it fits the wishes of the departed person and their living friends and relatives? Humour is one way to confront and control the disturbing reality of death. And using ashes in an hour-glass isn’t necessarily a humorous thing to do. 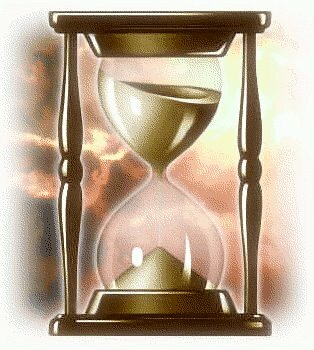 If the hour-glass is tastefully designed, it becomes a powerful symbol of how quickly life passes. I can also think of a perfect quotation to place on an hour-glass like that: Carpe Diem! – “Seize the Day!” Because sooner or later we all pass away and leave the living behind.